LaunchNET News: We're not done yet! 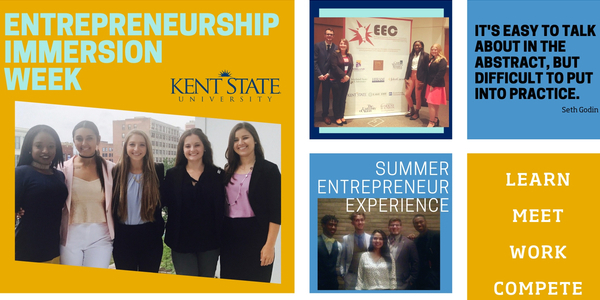 We coach Kent State founders, innovators, dreamers, and doers! 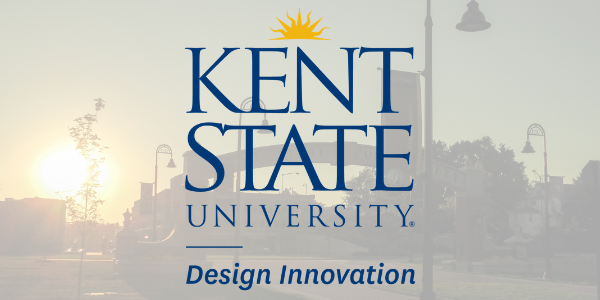 Creating a community of Kent State makers, innovators, creators, collaborators, and business owners. 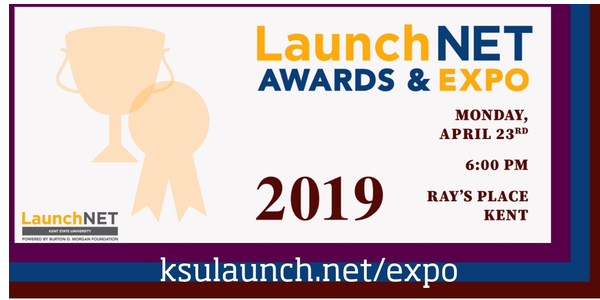 Come celebrate another great year with LaunchNET at Ray's Place downtown on Tuesday April 23! Network with community members, other entrepreneurs, mentors, and potential customers. Clients: get a table where you can sell your wares, talk about your venture, or get input and ideas! Sign up to attend or exhibit! 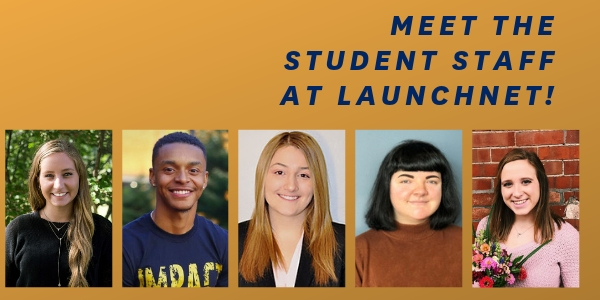 We are very lucky at LaunchNET to have a fantastic staff of student fellows & designers who help make all the magic happen. Get to know our student staff members! The LaunchNET Spring Pop-Up Shop will take place Wednesday, May 1st from 4-7pm at Tree City Coffee in Downtown Kent. 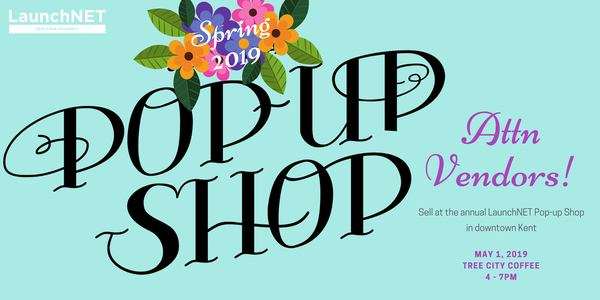 Please fill out your business information to be considered for a place as a vendor in this year's Pop-Up Shop. Applications are due April 19th. Decisions will be announced by April 23rd. 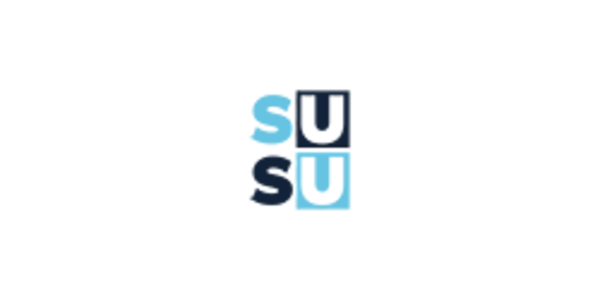 Entrepreneurship Immersion Week (EIW) is an intensive one-week (ish) immersion experience for undergraduates from all disciplines to immerse themselves in the skills needed to help them develop new business concepts and apply these skills in a team-based business concept competition. A panel discussion about innovation at Kent State. 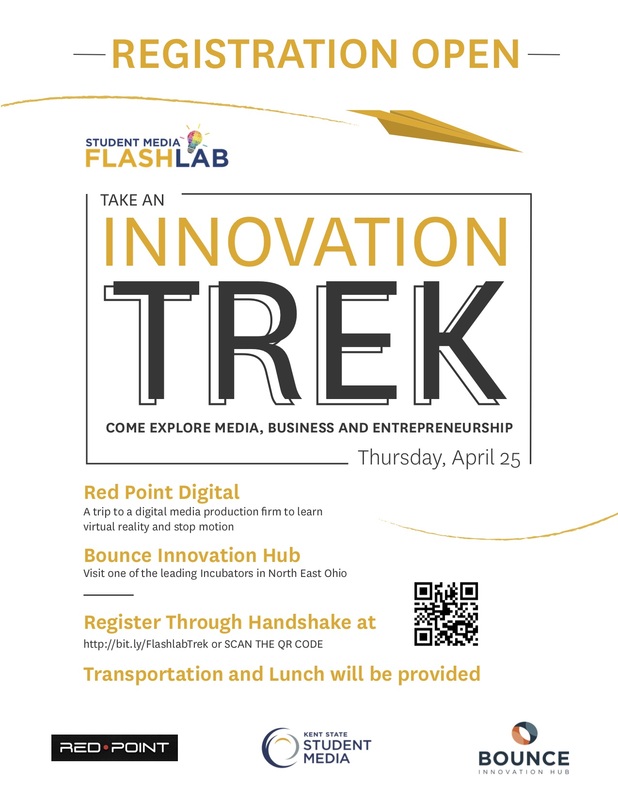 Join KSU innovators from different fields and backgrounds for a conversation about what innovation looks like and means at Kent State. The recording of the discussion will air on Thursday, May 2nd, as the final episode of the KENT-repreneur podcast. Join the Girl Gang for an evening with Anne Cate! LAST day for Accounting support this semester: April 26! 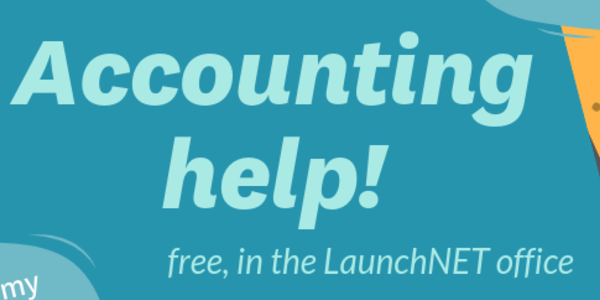 There are only a couple time slots left to meet with our (free) accounting support person, in the LaunchNET office! Get a jump on those summer sales by making sure your books are set up properly. 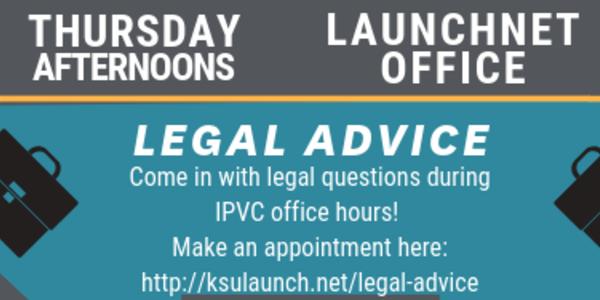 Last chance this semester to meet with our free legal consultant! Help a LaunchNET client & local food entrepreneur! Kiva is the world's first online lending platform connecting online lenders to entrepreneurs across the globe. You can make a loan to an entrepreneur across the globe for as little as $25. 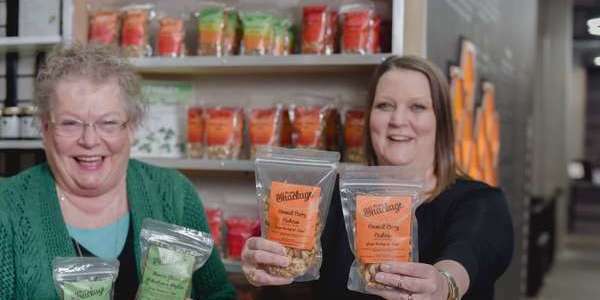 Help support Julie, founder of Savory Snackage LLC, expand their business. 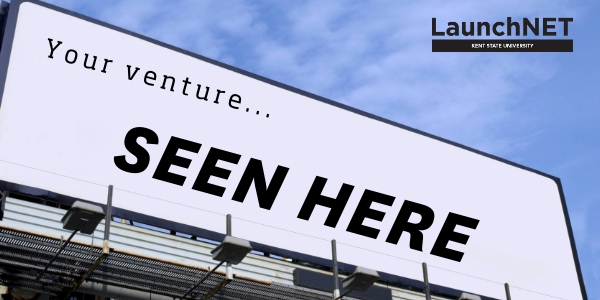 Want to advertise your venture? If you want to get in front of nearly 3000 folks (not just KSU students) in Northeast Ohio, to advertise an event, share some good news, or get some help, we can help! Give us the info and we can include it in the next LaunchNET newsletter. Be A Panelist At Startup Scaleup 2019! This year, we’re putting the audience in charge at Startup Scaleup, giving them the chance to vote for their favorite potential panelists before the event, then hear them live on stage at our “Pick Your Panel” session. If you’d like to be one of the panelists, the first step is to submit a link to a 90 second YouTube video explaining why you’d make a great Startup Scaleup speaker. We’ll select 10 finalists, then turn it over to the attendees to vote for their favorites! The deadline is May 3, so submit your video today! Our first-floor Generator space is opening in May and we are ready to celebrate! The public is invited to join us on Wed., May 22, for our Grand Opening and building-wide Open House. The event includes a full day of free activities to highlight many of the things Bounce has to offer, while showcasing our startups in residence. The Commons Program is an entrepreneurship and innovation accelerator program designed to attract, develop, and retain the most talented and motivated minds by blending corporate innovation and student start-up ventures along with mentoring professionals to give students a truly unique, real-world experience. Have a startup idea but need someone to help you build it? 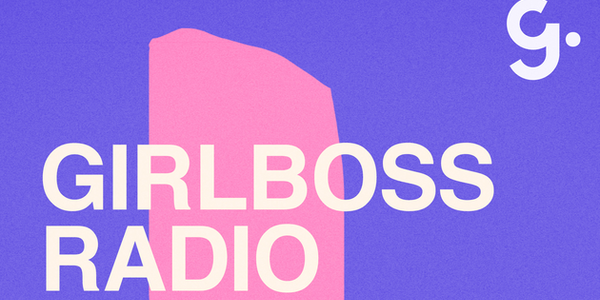 Great at developing cool stuff, but need a business savvy comrade to bring it all together? Need design help? This event promotes cooperation among small businesses and MBEs to engage with corporations for the purpose of growth and development. Attendees will be able to capitalize on numerous benefits from attending this event including workshops, the business-to-business tradeshow, and networking. Join us on Wednesday, April 24 to support ten Stark County entrepreneurs as they pitch their business ideas to a live audience, and a panel of judges, for a chance to win up to $1000. Just a few years ago, Rachel Brathen, a.k.a., “Yoga Girl,” was sharing her experiences with yoga on a growing little platform called Instagram while trying to fill a small class of 30 at a local studio. Today, Brathen has more than 2M followers on Instagram, is a serial entrepreneur, a New York Times best-selling author, and the founder of three different not-for-profits. How did she do it?